This a 50Amp RV/ EV Adapter. 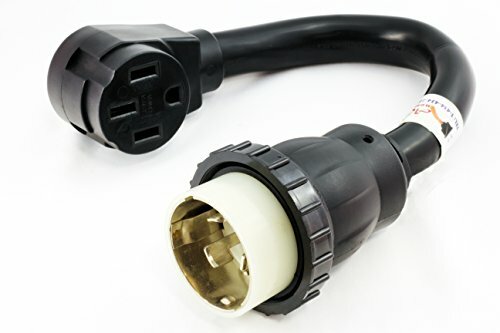 It gets power from SS2-50P Boat Dock Power / CS6365 Generator Industrial 50Amp 125/250Volt Locking power to NEMA 14-50R RV/ EV/ Range/ Generator female Connector. The Cable is STW 6/3+8/1 600Volt jacket with 50Amp Copper wire.